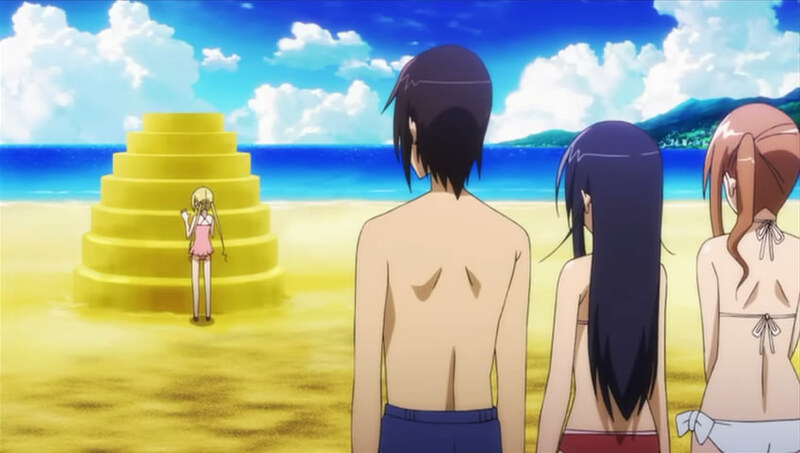 Seitokai Yakuindomo (SYD, for brevity’s sake) is a very strange beast. At a glance, it looks like a fairly run-of-the-mill comedy, and describing the bathroom humor-littered source material probably won’t win you many fans. As a novel, it probably wouldn’t have many. But, thanks to a combination of ultracompetent soundtrack and excellent comedic delivery, the series actually ends up being quite an entertaining ride. The character lines in SYD are very smooth, effectively mixing cute with sophisticated. The sophisticated side is well-suited to the parts where it pretends to be an aesthetically motivated school life show, and the cuter side adapts quite well when it wants to accentuate the punchlines of jokes. If there’s one thing the soundtrack of SYD has, it’s variety, both in mood and instruments. There’s upbeat marches, jazzy morning melodies, and hot-blooded 80s-style trumpeting. Each individual track is an aural delight, and when you mix that with its level of versatility, it’s got the effect of a well-catered sound buffet. SYD’s soundtrack feels like it could be fit to just about any other school-life comedy and make that series better. If you do end up listening to the soundtrack after watching the show, you’ll probably notice a lot of music you haven’t heard in the series. This is due to a repetitive yet reliable trick the show pulls. Soundtrack only exists in a given scene to carry you from the beginning to the punchline. Thus, in well over 90% of scenes, you’ll find the music cutting out before it gets through a third of the song. This is a good indication of the fairly liberal approach the director took when making the show; why shoehorn in 3 minutes when 40 seconds is all you need? The characters of Seitokai Yakuindomo are very one-dimensional stereotypes there for the purpose of playing specific roles in specific types of jokes. The president, Amakusa Shino, is delusionally perverted and a stickler for the rules. The vice-president and only male in the cast, is the series’ primary straight-man. The treasurer, Hagimura Suzu, is intelligent and short, and serves as a backup straight-man. The secretary, Shichijou Aria, is rich and soft-spoken, but is also casually perverted. Various other side characters fill various other comedic niches. The script is mostly a stream of dirty jokes, some cleverer than others, most dirtier than the ones that made archenemies of Japanese PTA groups and Harenchi Gakuen back in the sixties. Let’s start this as generally as we can. To tell a joke that’s funny, one has to walk a tightrope of surprise. In the most basic sense, a joke isn’t nearly as funny when you can see the punchline coming. On the flip side, a punchline that’s totally unrelated to every other part of the joke is very hard to swallow. Similar to the best mysteries, the best jokes are ones that you could have seen coming, but, for whatever reason, just didn’t. The key to SYD’s method of achieving this feeling of almost-surprise is an impressive commitment to aesthetics. Shots of a the sunlight illuminating the school in the morning and evening are employed with a delicate touch to put the viewer in an atmospheric comfort zone. Inevitably, it’ll throw the viewer out of that with a change of focus or art style coupled with a punchline. This dynamic fake-out style adds a lot of punch to every scene, and at one point allows the series to get away with telling the same vibrating box joke 3 times in 2 minutes. It also isn’t afraid to get creative, and will occasionally make use of cutaways (some brief, some extensive) that do a good job of outlining how ridiculous something is. 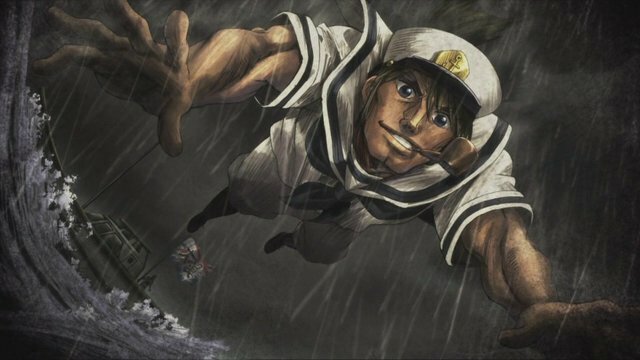 Particular examples are a scene emphasizing Tsuda’s writing skills that involves a stray cat, a buff sailor, and a downtrodden career woman and another that rehashes a generic manga romance plot in minimal time. The inclusion of these cutaways breaks up any remaining monotony the series might have had. On a fundamental level, this series just has so many cards to play to keep viewers on their toes, laughing through it all. You may be able to tell what the next joke will be like, but there’s no way of knowing where it’ll come from. And trust me, the latter more than makes up for the former. This entry was posted in Anime, Reviews and tagged Anime, Final Review, God-Tier Direction, Good jokes are like good mysteries, Seitokai Yakuindomo, Stylistic Fake-outs by torisunanohokori. Bookmark the permalink. I recently finished the series myself, and this is pretty much my opinion exactly. The script is fairly weak, and towards the end it just felt like it was dragging, due to it basically being the same jokes over and over again, though the delivery was good throughout. I don’t think the episodes got worse, I think I just got tired of it. Very enjoyable though; worth a watch if you like this kind of thing.